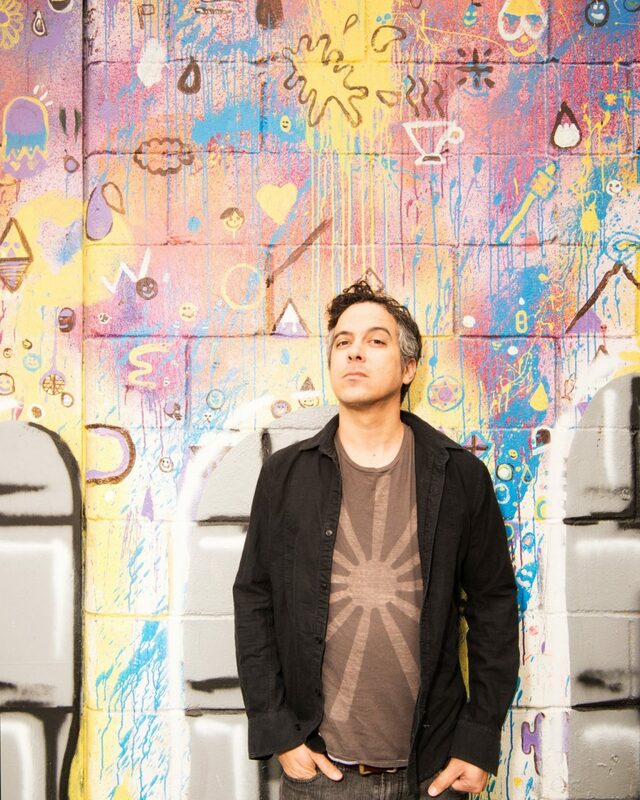 M. Ward picks up where he left off with “A Wasteland Companion,” on his latest album, “More Rain,” released Friday, March 4. The oft-collborative Ward has released albums with Jim James and Conor Oberst as Monsters of Folk and with Zooey Deschanel as She & Him; he also produced the latest Mavis Staples album. It’s been four years since his last solo release and Ward has branched out on this new album incorporating more upbeat tones and inviting The Secret Sisters in the studio for a song. He maintains the vintage warm tone that has made his songs incredibly personal and beautiful. Mark your calendar for his show Monday, May 2 at Union Transfer in Philadelphia, Pa. In the meantime, you can check out “More Rain,” on iTunes, Amazon and Spotify. Nada Surf is back and with a new member in the studio, Doug Gillard who is no stranger to the Nada Surf stage, and a new album, “You Know Who You Are,” released Friday, March 4. Singer-guitarist Matthew Caws brings back that 90s sound with a more storied sound and mature members. At times the new album drifts into 70s psychedelic vibes but the New York City rock band is proud to show who it is. It’s the kind of album that Nada Surf fans can come to expect while building upon the harmonies the band has built throughout the years. See Nada Surf Thursday, June 2 at World Café Live. Get “You Know Who You Are” via Barsuk Records, iTunes, Amazon and Spotify. Collaborating with Jim James may be one of my favorite things Ray LaMontagne has ever done. His latest album, released Friday, March 4 is “Ouroboros.” Produced by the My Morning Jacket frontman, the experience has been a journey for LaMontagne. As he put it in a postcard to fans: “‘Ouroboros’ is an album musically unlike any I have recorded previously. It did not make itself known to me in sections, sessions, or moments carved out of the clutter of every day life. It presented itself as the simple question: ‘Will you follow me?’” Funky, deep and inspiring, “Ouroboros” is my favorite album to date by the singer-songwriter. See him Saturday, June 18 at Festival Pier at Penn’s Landing in Philadelphia, Pa. Check out “Ouroboros” from Ray LaMontagne, iTunes, Amazon and Spotify. Folk rock singer-songwriter Thao Nguyen has embraced an electronic arts sound on her latest album by Thao & The Get Down Stay Down, “A Main Alive,” released Friday, March 4. The band’s sixth album investigates unexplored crunchy bass tones and funky grooves. This is a turn from the folky songs Nguyen penned in the past; it’s sugary, poppy and fun at times. With Nguyen’s creative energy, the album manages to be funky and folky at the same time making “A Man Alive” enjoyable on repeat, especially for fans of tUnE-yArDs. See Thao & The Get Down Stay Down 8 p.m. Saturday, April 16 at Underground Arts in Philadelphia, Pa. Get “A Man Alive” from Thao & The Get Down Stay Down iTunes and Spotify. Kendrick Lamar dropped a surprise project album “untitled unmastered.” on Friday, March 4. Lamar said on Twitter the songs are “Demos from Pimp A Butterfly. In Raw Form. Unfinished. Untitled. Unmastered.” According to Pitchfork, the tracks “untitled 03 | 05.28.2013.” and “untitled 08 | 09.06.2014.,” were recorded from appearances on “The Late Show with Stephen Colbert” and “The Tonight Show Starring Jimmy Fallon,” respectively. “untitled 07 | 2014-2016.” was produced in part by Egypt, the 5-year-old son of Alicia Keys and Swizz Beatz, and also in part by Sounwave. The album also features Cee-Lo Green singing on “untitled 06: 06.30.2014.” Get “untitled unmastered.” from the Grammy Award-winning artist on iTunes, Google play and Spotify. Bouncy-pop laden melodies swirl around, “iii” the third album by Miike Snow, released Friday, March 4. The Swedish electronic-pop band shows signs of its past brilliance on songs like “My Trigger” and “Genghis Khan.” Charli XCX teams up with the trio on “For U” and Run the Jewels bring flavor to the remix of “Heart Is Full.” There are some moments on this album that seems to wade into the electronic dance music waters, although timidly. It’s fun at times, also moody, but overall a solid effort. Pick up “iii” on iTunes, Warner Music Store and Spotify. It seems like not that long ago that a friend told me to check out the Violent Femmes and I never did. “We Can Do Anything” is the band’s ninth album, and first release in 15 years. The Wisconsin folk-punk band that emerged in the early 80s hasn’t slowed down since reuniting in 2013. Featuring the trio of Gordon Gano, Brian Ritchie and Brian Viglione, the album has some highlights including “Big Car,” “Holy Ghost,” and “Issues.” “We Can Do Anything” is an appropriate title for the band’s first album out of the gate in more than a decade. It’s ambitious and throws a lot into a small package. Check out “We Can Do Anything” on iTunes, Amazon and Spotify. It has taken Loretta Lynn 83 years and 50 albums to come “Full Circle.” The most celebrated female country music singer-songwriter in history takes listeners on a journey through her musical career. Her first album since her Grammy Award-winning 2004 collaboration with Jack White, “Van Lear Rose,” includes new songs and a new versions of old songs; such as the first song Lynn wrote, “Whispering Sea.” “Lay Me Down” includes Willie Nelson and Elvis Costello can be heard on “Everything It Takes.” Some classic Lynn tunes are refreshed such as “Everybody Wants to Go to Heaven” and “Fist City,” as well as traditional songs “Black Jack David” and “I Never Will Marry.” Get “Full Circle” on iTunes, Amazon and Spotify.